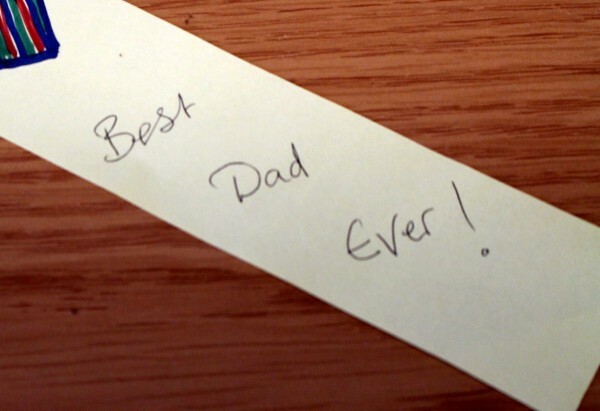 Make a fun Father's Day or other special occasion gift for the special dad in your life. 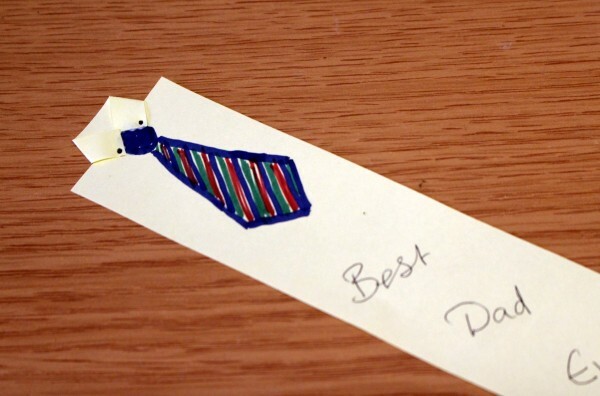 Making a shirt and tie bookmark for dad, is an easy Father's Day craft. 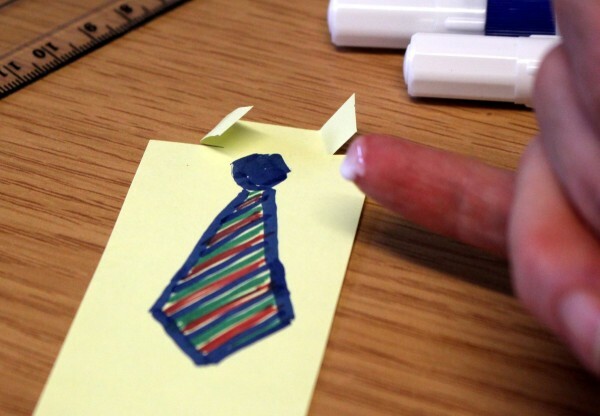 Children will enjoy working on this simple and fun craft to make as a gift for Dad. 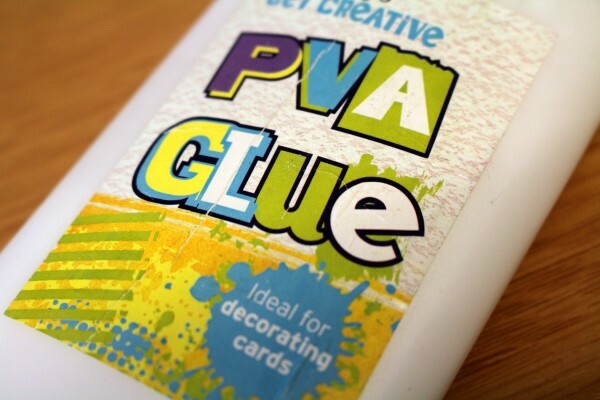 Some of it is a bit tricky for younger children, but with a bit of help they can make and give this fun bookmark that Dad will be proud of. 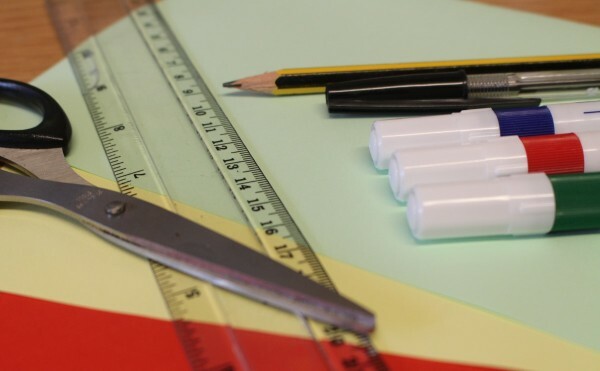 You will need a strip of paper 4.5cm x 21cm. 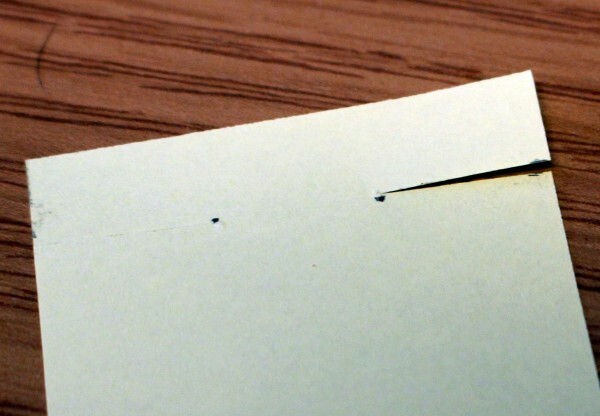 21cm is the length of the short edge of a piece of A4 paper (or the short edge of a piece of A5 paper). 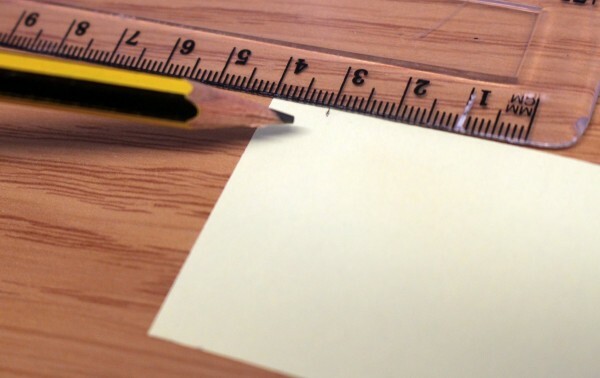 Measure and mark carefully using your pencil. 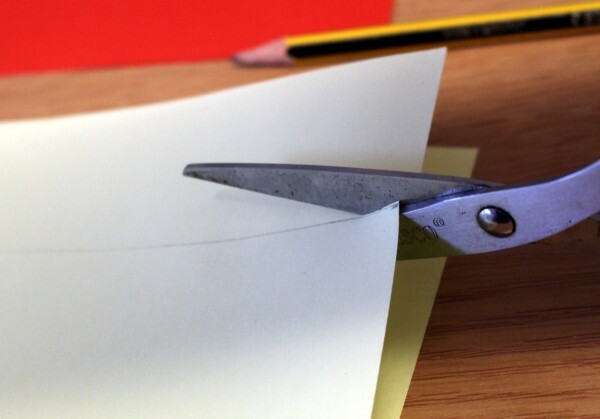 A guillotine will give the best results for cutting, but scissors are fine in you cut carefully. 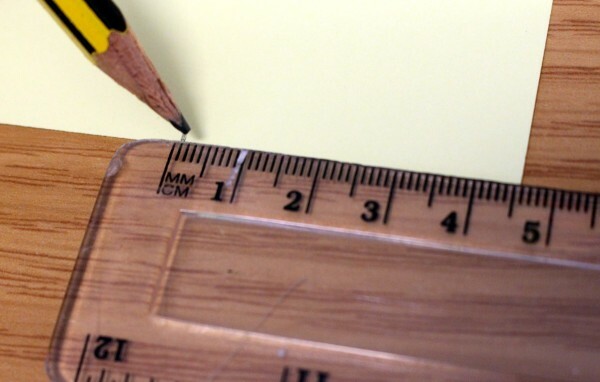 Make a mark with your pencil 1cm from the top edge. 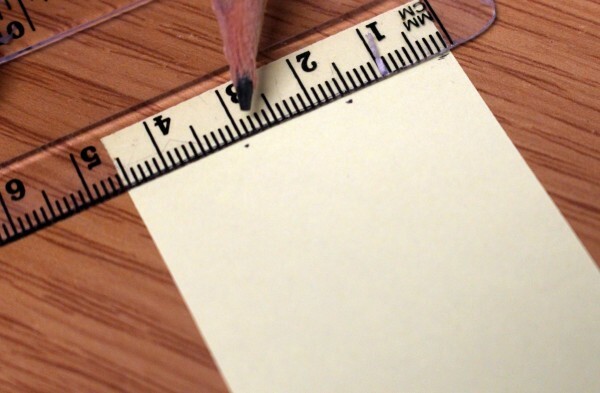 At the same level divide the bookmark into thirds by marking every 1.5cm. 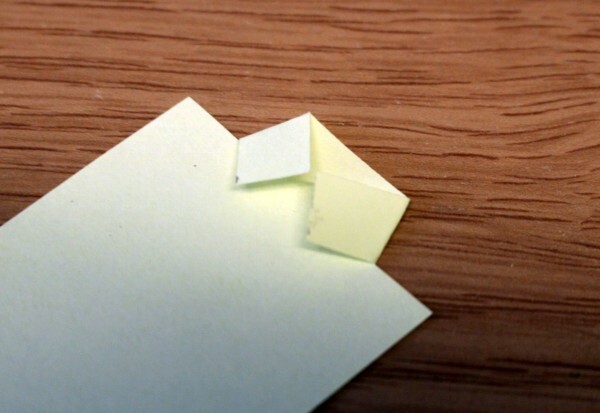 Make a cut on each side. 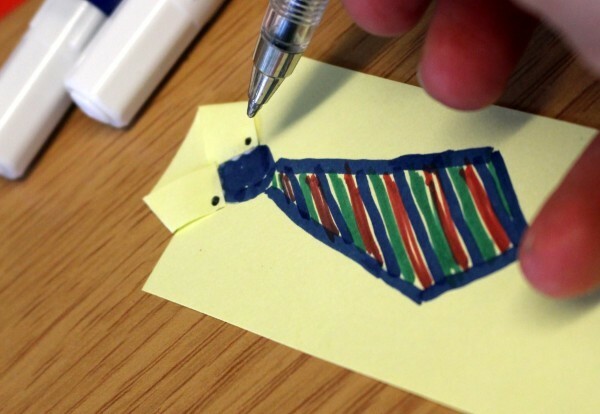 Fold the sides in to look like a shirt collar. 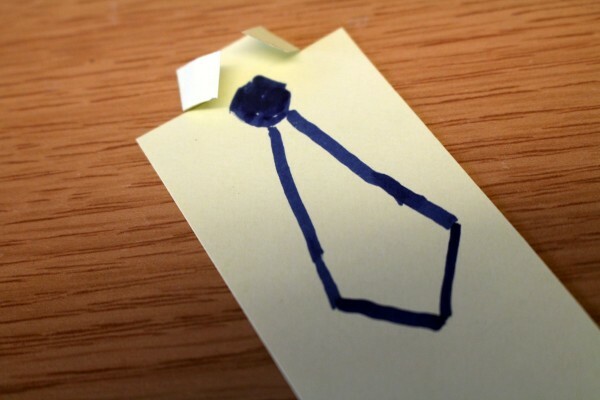 Draw a tie. It's easier than you think. 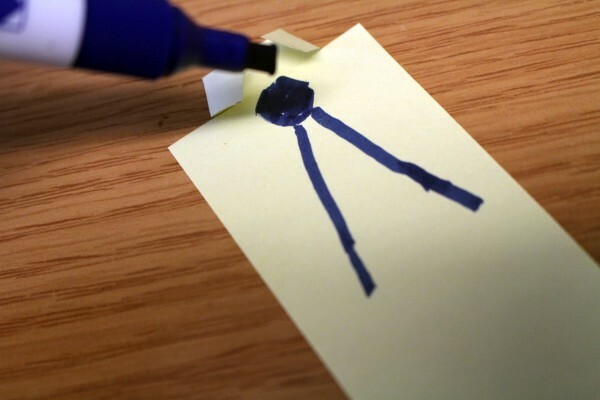 Make a circle for the knot and draw 2 long lines going outwards. 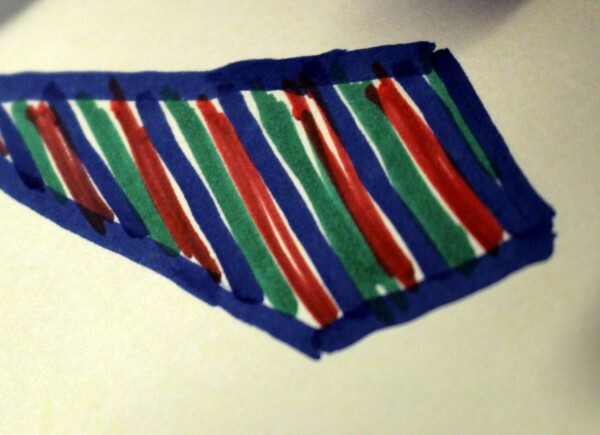 Then draw a v shape at the bottom. Use a little dab of glue to hold the collar down. Make a dot on each side of the collar to look like buttons.